Lipsticks are unofficially a girl's best friend! Every girl has at least one if not a dozen. More often than not, we end up buying too many lipsticks while we might only use a couple from the whole lot. 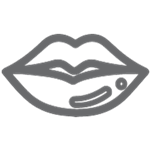 Here, is an interesting guide to categorize various lip products and even help you shop wisely.